When I first started homeschooling I thought for sure it’d be the hardest thing ever. And of course I have a knack for finding the longest distance between two points so I was up for the challenge….at first. See, I’m not exactly a “team player” in the general sense so reaching out to other homeschool moms never even crossed my mind! 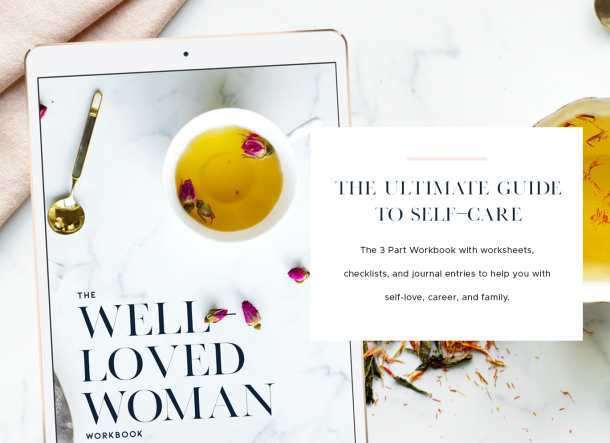 After wasting a fillion hours, making a zillion DIY worksheets and wracking my brain to keep a busy activity schedule I finally realized I couldn’t do it alone… And I didn’t have to! These vast internets are stuffed to the top with awesome moms who make even awesomer homeschool stuff! They also share their supply hauls so I learned quickly how to educate my littles on the cheap. So yeah, avoid my mistakes and just jump on the mommy train while you’re ahead! Linking up with others who DO it on a daily makes it sooooo much easier to manage when spending ALL your waking hours with little ones gets to be overwhelming. 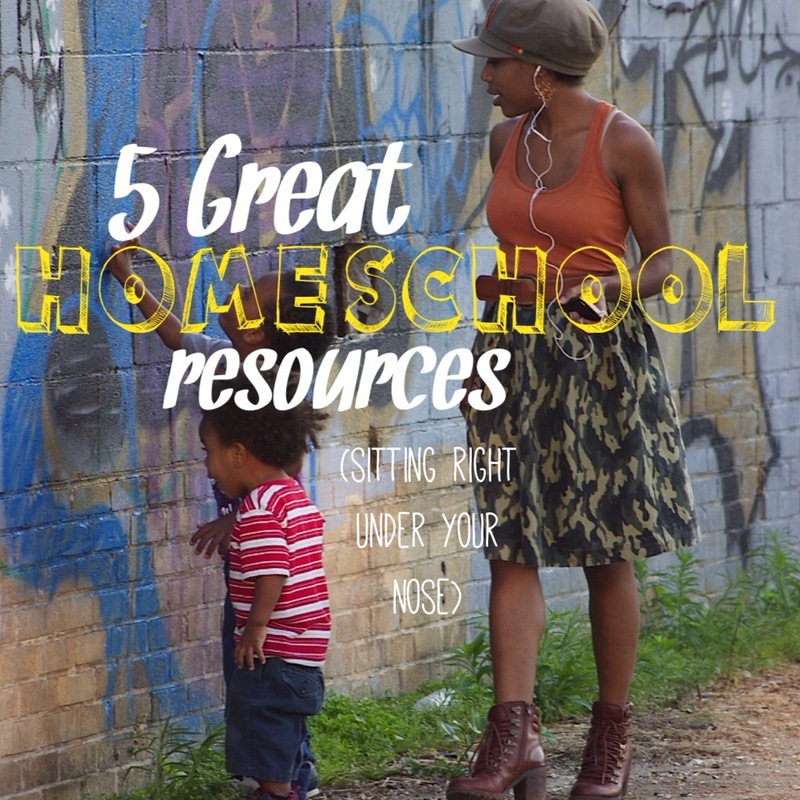 Yes, as “free loving” as us hippie homeschoolers are, we get overwhelmed, stretched thin and up tight at times too! To take the guess work out of it for you, here’s FIVE resources that I use religiously. Most of them were right under my nose and IAENO! • Dollar Spots- Just about every big box store has a well stocked dollar section nowadays. For early homeschoolers this is the hangout! With little ones you can never have too many of the essentials: crayons, markers, pencils, glue sticks….the regular players. Dollar. Stores make it easy to stock up. But that’s just the beginning. Age appropriate workbooks, teaching tools and good behavior treats can easily be found year round. 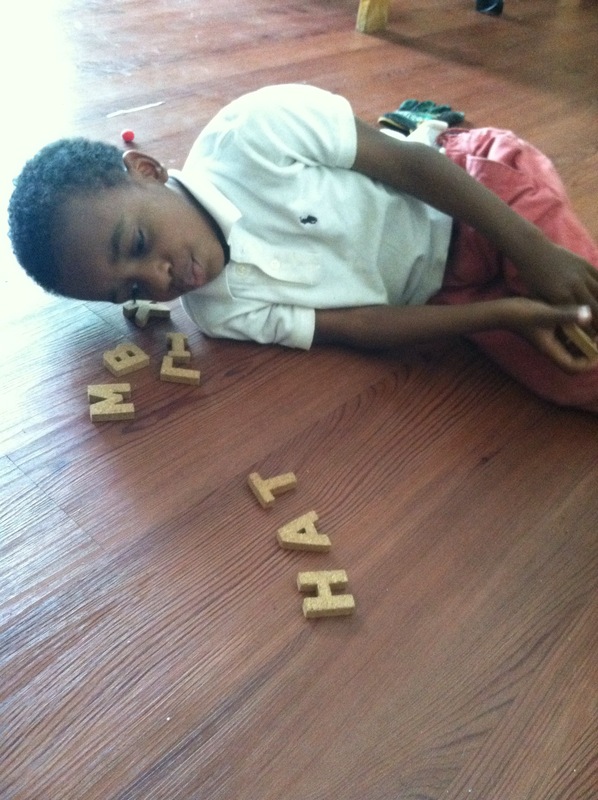 J doing his ‘at’ words with cork letters found on the clearance aisle at Michaels. •The good ol’ Library- You know, those bound stacks of paper we had to lug around in those god awful backpacks back in the day? Yeah those! As old school as it seems to actually pick up books these days, there’s still good reason to visit your local library. Mainly, it’s free. It’s also a great place to meet up with other homeschool families, stay updated on educational opportunities, and steal a few minutes of quiet time. Check out their DVD collection to add to your unit studies. •AtoZTeacherStuff.com- This is one of MANY sites I use to find relevant materials for any age range. It’s a website made by teachers and it’s full of great stuff. Check it out for free and paid downloadable print outs. •K12- I’m not sure if it’s a good or bad thing that the website says K12 isn’t available in my area. On the one hand, I’m not racing to teach a state created curriculum to my littles. On the other hand, just about every other homeschool mom I talk to online uses it. At any rate, I’m sure it’s a great starting point for moms looking for a structured curriculum. •Local Gardens, Farms and Orchards- being a community gardener I’m almost ashamed to admit that I didn’t know this. There is a TON of funding available for farmers and gardener to start free programs for children! 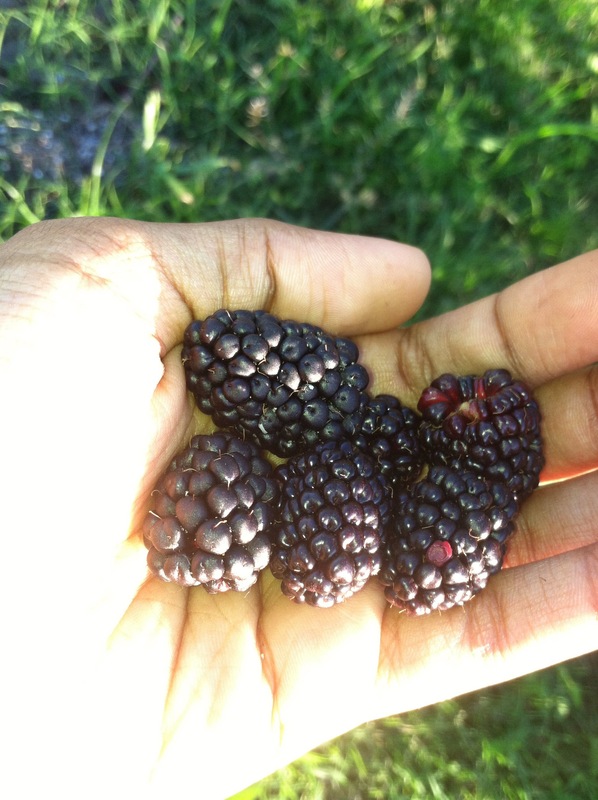 delicious berries we found growing wild around our garden! Research some spots in your area. Even if there are no programs you’ll still have the opportunity to get some fresh produce, teach your little othe Farm to Fork movement. I’m telling y’all- time saving at its finest! Long names but great stuff. What are some resources you find helpful on your home educating journey? Let’s chat about ’em in the comments!